False. Take care, as the sun feels at first as if it is doing your skin good! This is due to the bactericidal effect of UV rays, as well as the fact that a light tan will hide the appearance of lesions. This effect is sadly temporary, and meanwhile the sun has caused the skin to thicken, which aids the formation of microcomedones. The result is an acne flare-up three weeks later. So sunbathing with no photo-protection will always exacerbate your acne, and can even cause complications if you are taking certain treatments. The pill is a treatment for acne? True and false. Certain contraceptive pills will aggravate acne flare-ups, while others will reduce them. This has resulted in ccertain pills being used as an acne treatment, a trend that authorities approach with caution. The European Commission concluded that the Diane 35 pill (best known for its anti-acne treatment) "should not be used as a first-line treatment for moderate to severe acne, unless topical treatment and oral antibiotic treatment has been tried and proven unsuccessful”. However, there is nothing to stop a gynecologist prescribing a pill that has an anti-acne effect to his or her acne-prone patients. True. For 80% of adolescents, it is indeed inevitable. 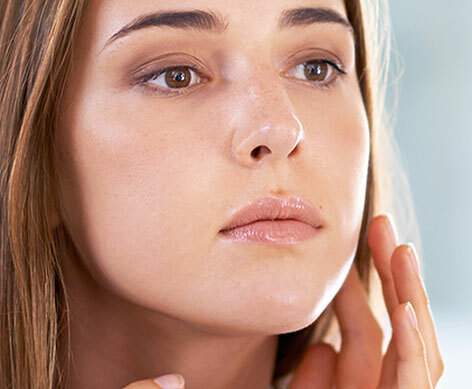 Once the rush of hormones that is puberty has begun, the sebaceous glands double their activity and the skin becomes oily - this is the beginning of acne. Although it is inevitable (unless we can skip puberty! ), acne is not insurmountable. Whilst overzealous cleansing can make it worse, specially adapted dermocosmetic products can slow things down thanks to non-irritant actives that reduce sebum and bacteria.